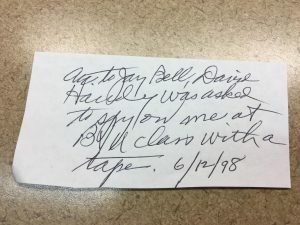 One obvious place to start looking is to find what BYU faculty members were reporting to the Strengthening Church Members Committee during the 1985-on era. Possibly this guy? He was not a student then , but he may have had some connection as an alumni.